So, last Saturday, for the second Saturday in three weeks, I was on a train heading for a race weekend expo. 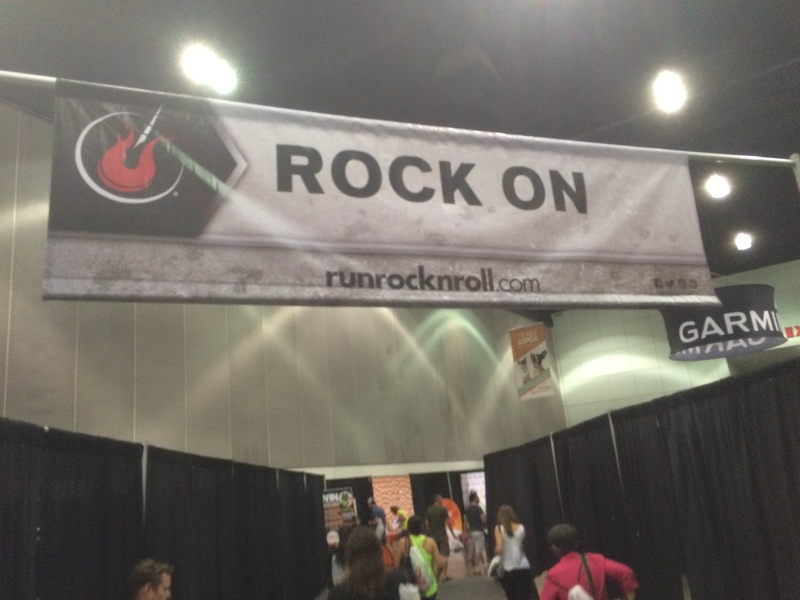 This time it was the Rock n Roll Los Angeles Half Marathon Expo. 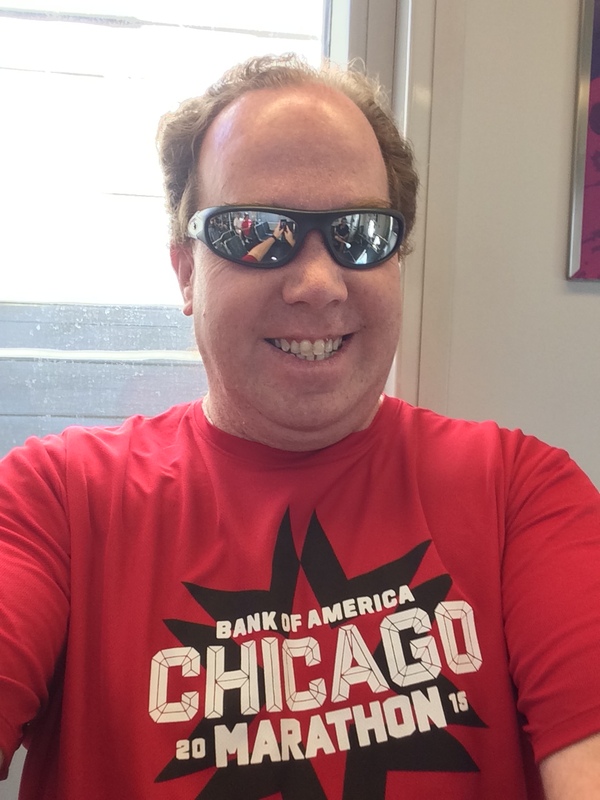 I was wearing my Chicago Marathon race shirt proudly! 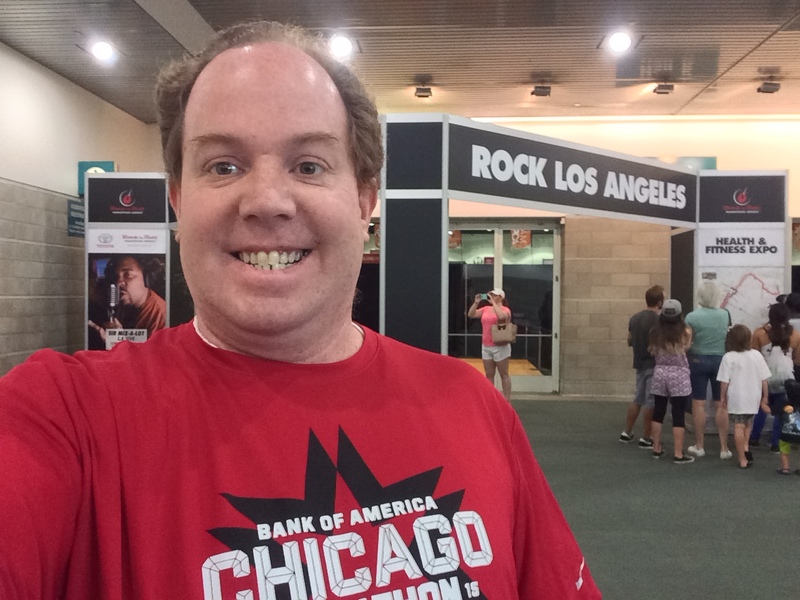 After an amazing expo for the Bank of America Chicago Marathon, I wasn’t expecting this expo to be as great. However, I was expecting a lot more than I got. Before walking in, I still excited about another expo. 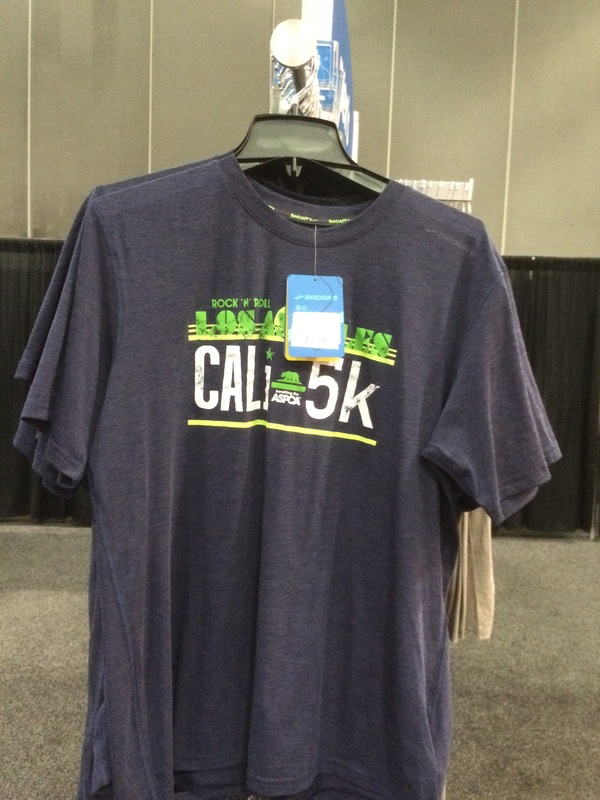 The lines were non-existent as I went to get my race bib. 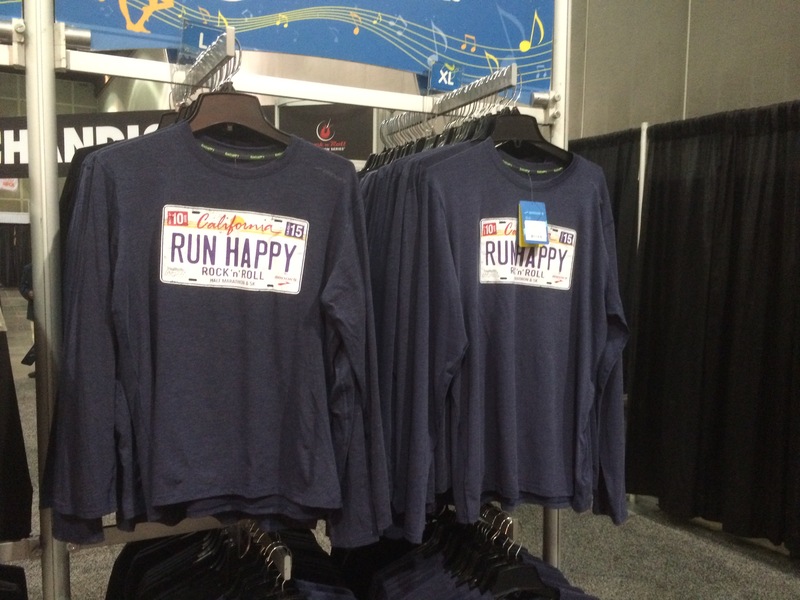 It was just as easy to get my race shirt. 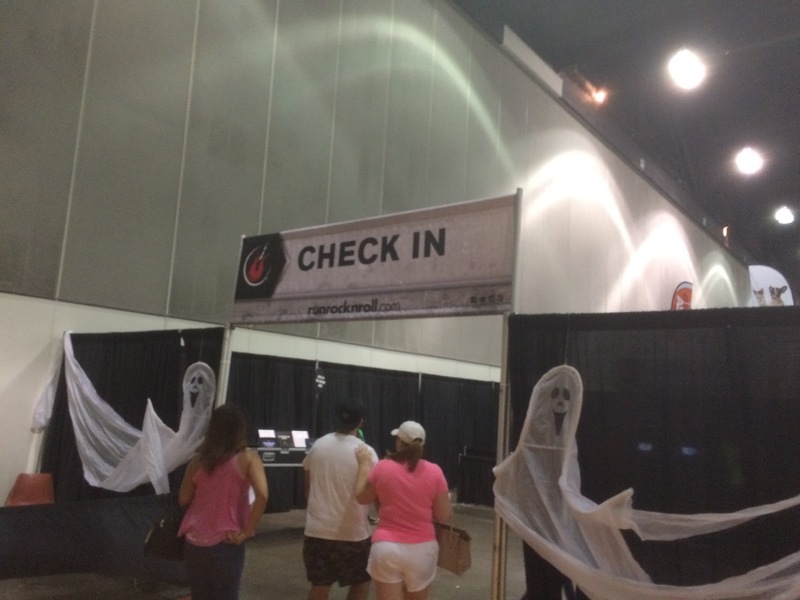 After Chicago, this expo looked like a ghost town. 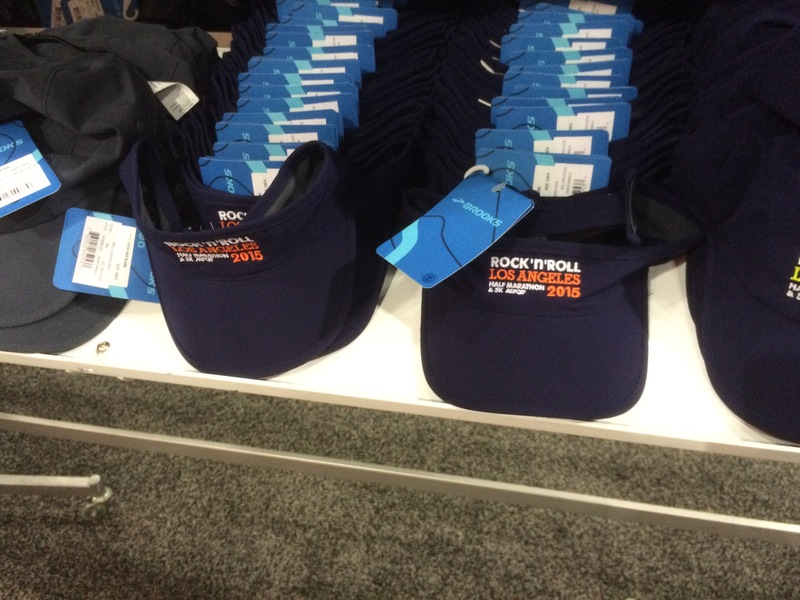 The Rock n Roll San Diego Marathon/Half Marathon weekend had some cool merchandise. I was hoping that Los Angeles would have the same. Here’s what I found. For me, this was the best shirt at the expo. Not exactly inspiring. As you can see, the shirts were kind of plain. 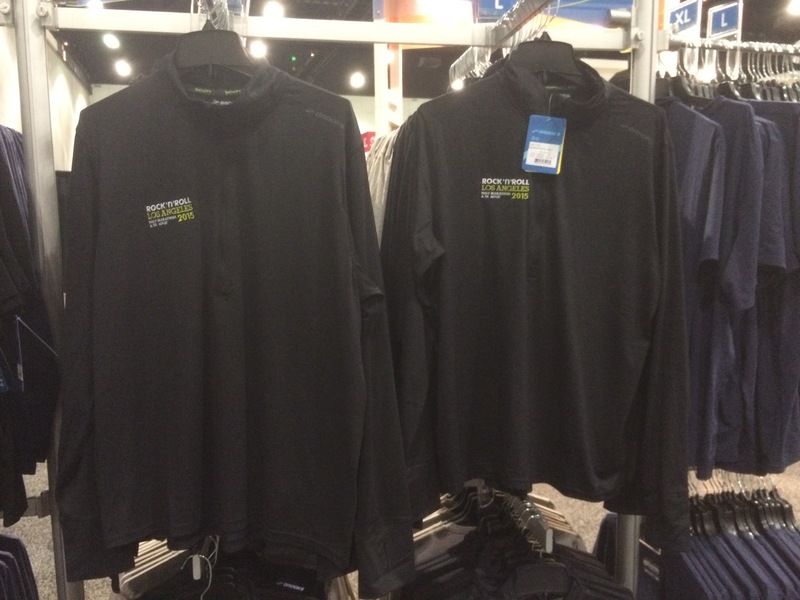 The jackets and long sleeved shirts were no better. Nothing too rockin’ about the glasses. So, I rocked on to other parts of the expo without making a purchase. 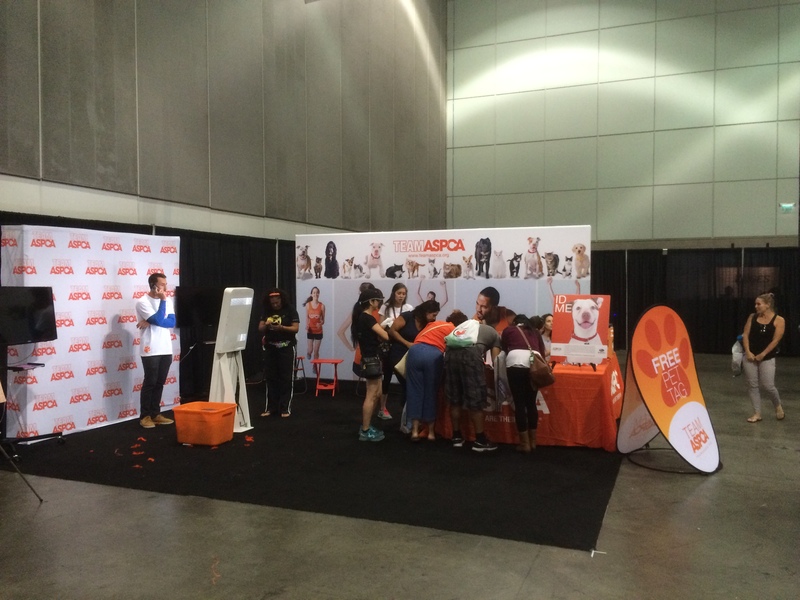 The ASPCA was the title sponsor of this race. 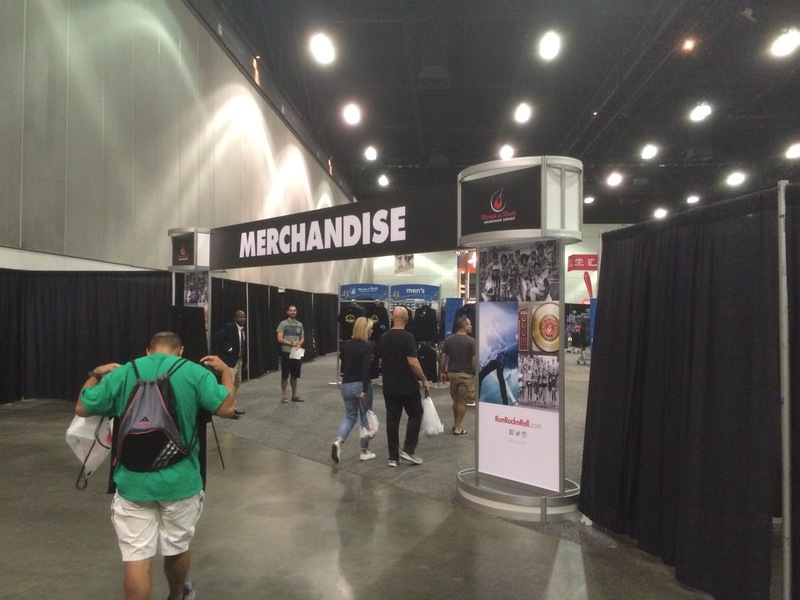 So, they were the first booth at the expo once you left the official merchandise area. 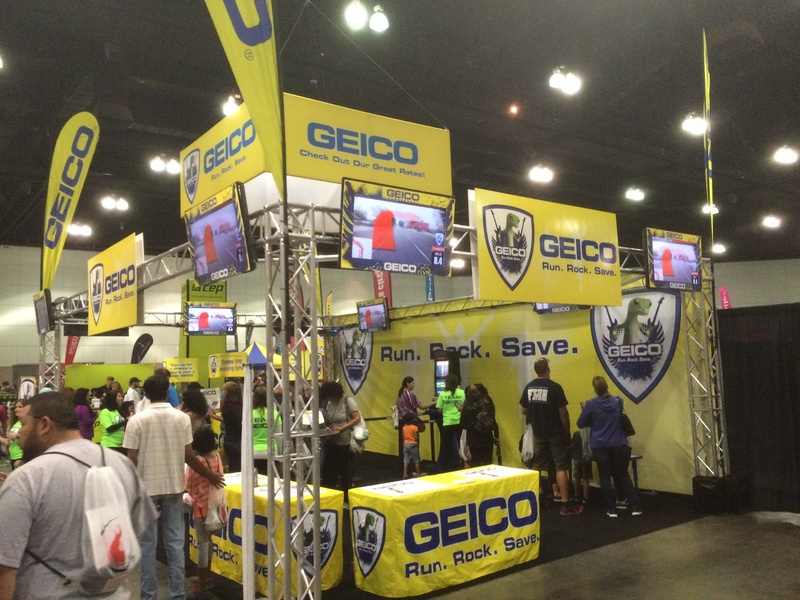 The Geico booth gave us a preview of the race course. Although, I don’t think they had the updated course for this race. After the race, I was thinking that I probably should have paid attention to the video at the expo a little more. It could have prepared me better for the race. 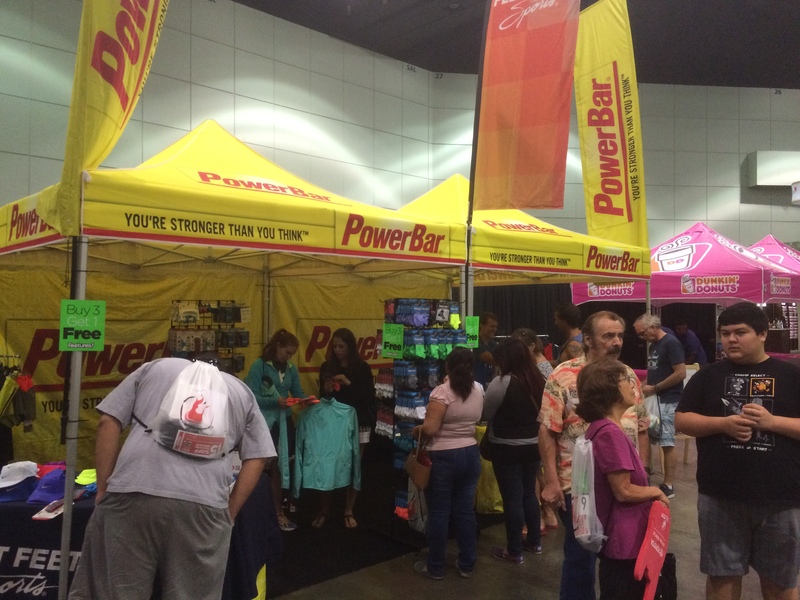 Power Bar was another key sponsor. So, there would be no Cliff samples. As a matter of fact, there were no Power Bar samples. Can you believe it? Dunkin’ Donuts did have sample things to drink. Check this out! 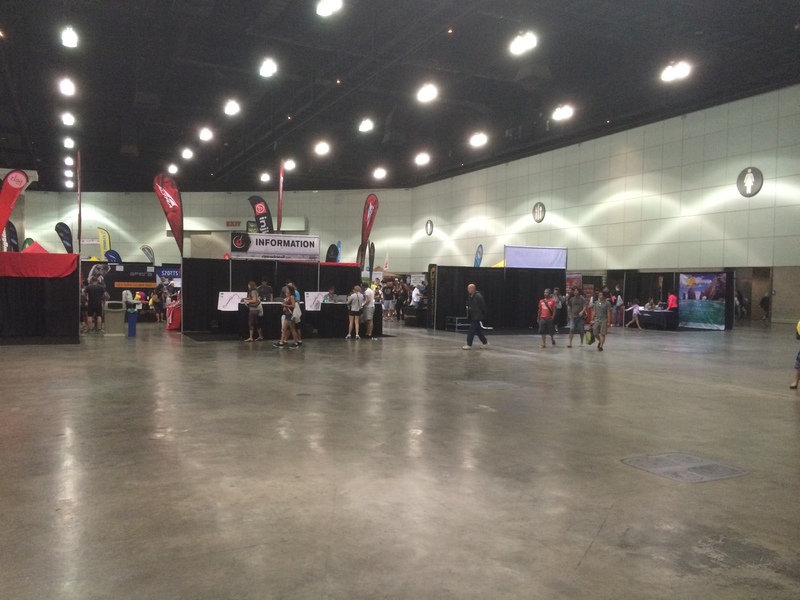 Look at all the empty floor space in the exhibit hall for the expo. This is just sad if you ask me. 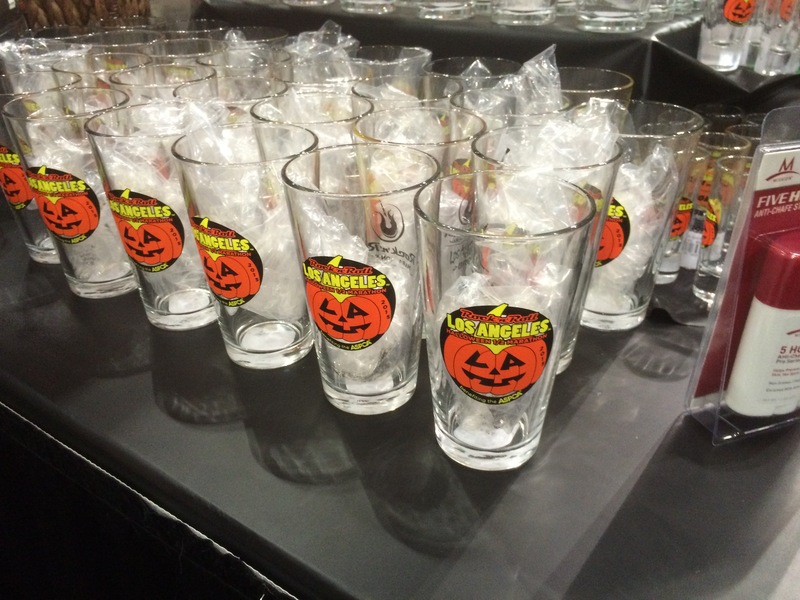 I walked around the expo floor and was very uninspired. Most of the usual suspects were out for this expo. However, Pro Compression was noticeably absent. It seemed like a good chunk of the exhibitors were representing various races. After two laps of the expo floor, I was ready to leave. 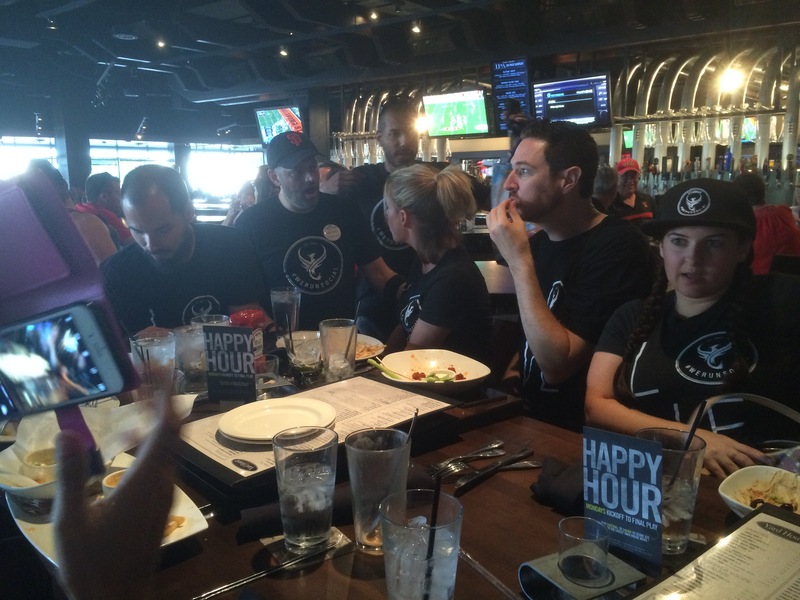 Although I was sad about the expo being so boring, my spirits were lifted by the We Run Social meet up. 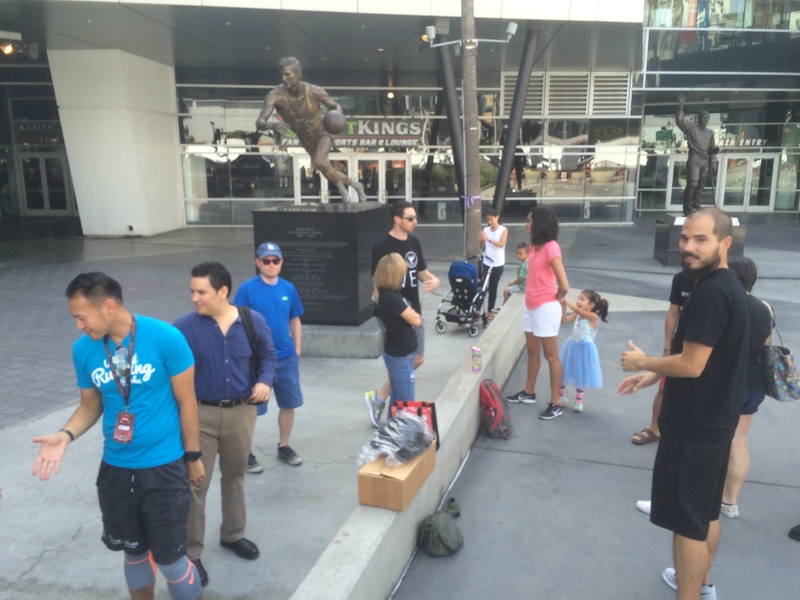 We gathered by the Magic Johnson statue in front of Staples to hang out. 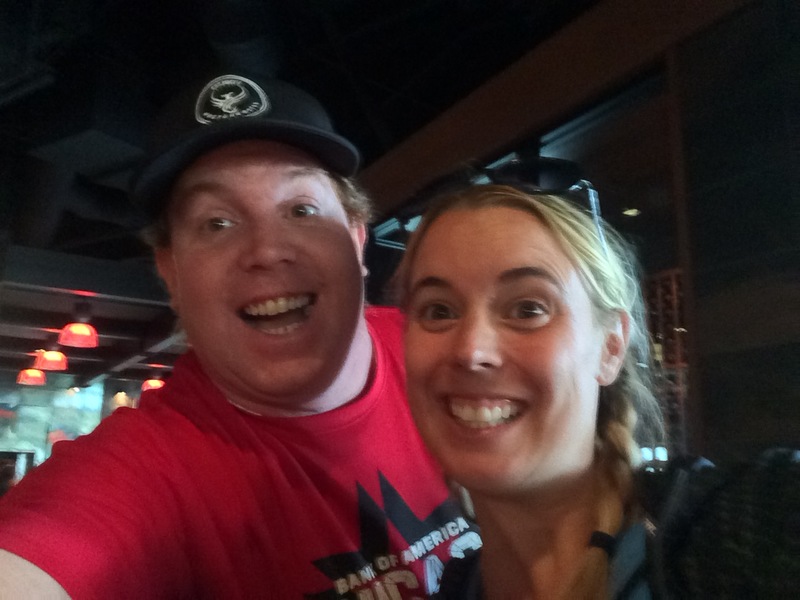 I got to meet some new running peeps and catch up with others I already knew. Then, it was time to get ready for a group photo. Here we all are! 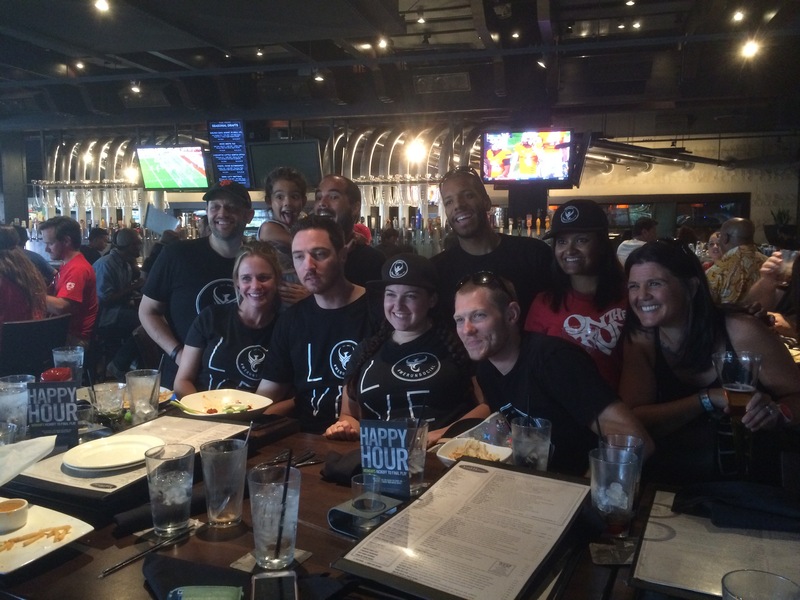 After the group photos, we headed over to The Yard House at the LA Live for some more socializing. 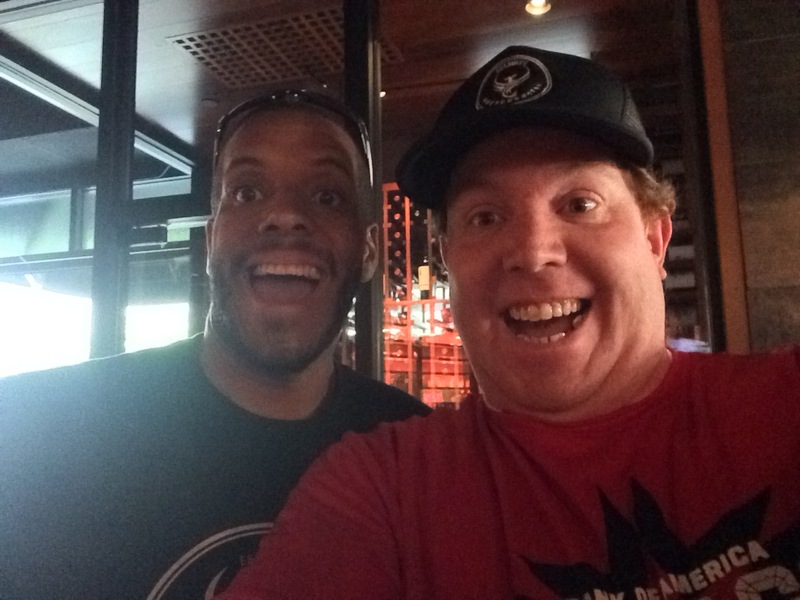 It was so great to get to hang out with Sharpie, Erica, A.J…..
and Pavey in his first lady. 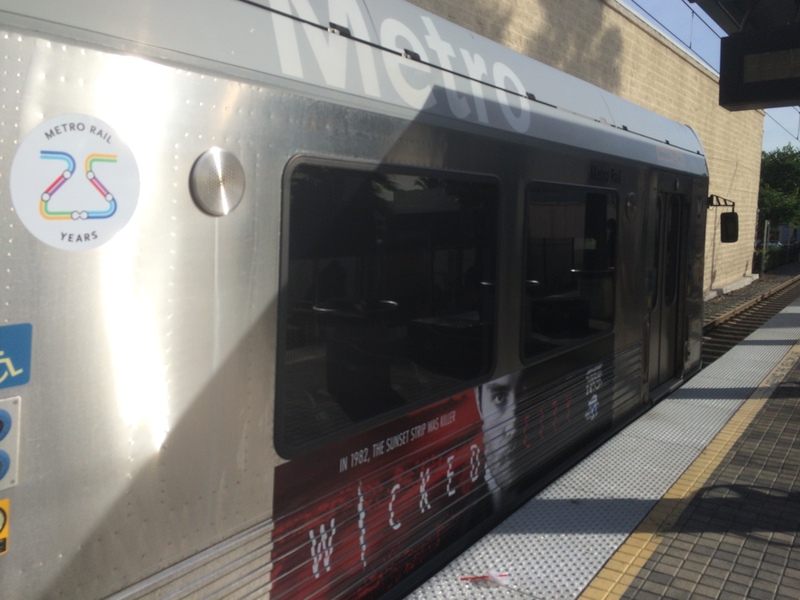 After having all the fun with the We Run Social crew, it was time to get back on the trains and make my way home. 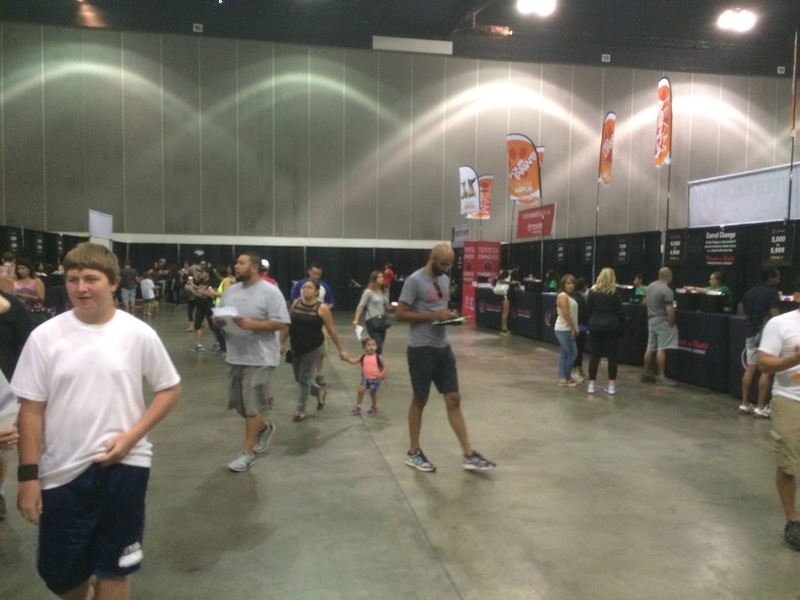 The expo was very disappointing. 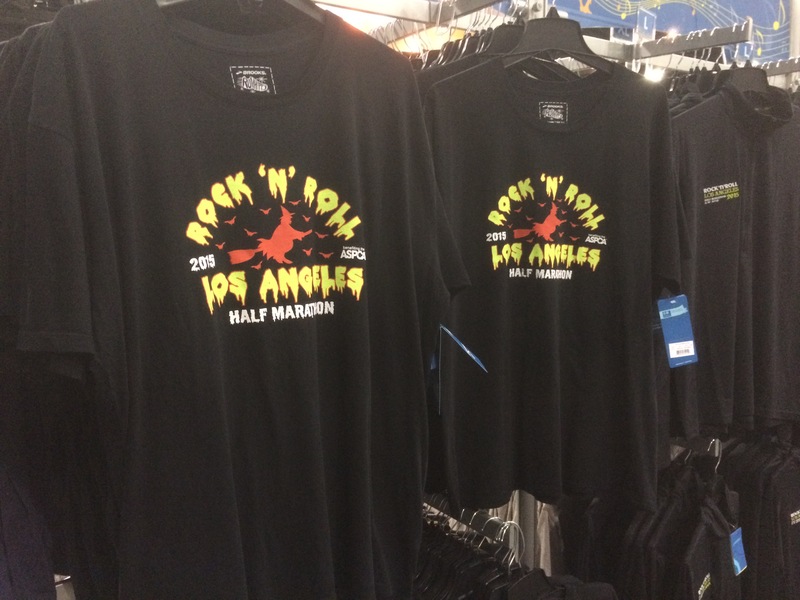 Even though I had just been to an expo at a world major marathon two weeks before, this expo failed to live up to the expo I went to the last time I was at the Rock n Roll Los Angeles Half Marathon. 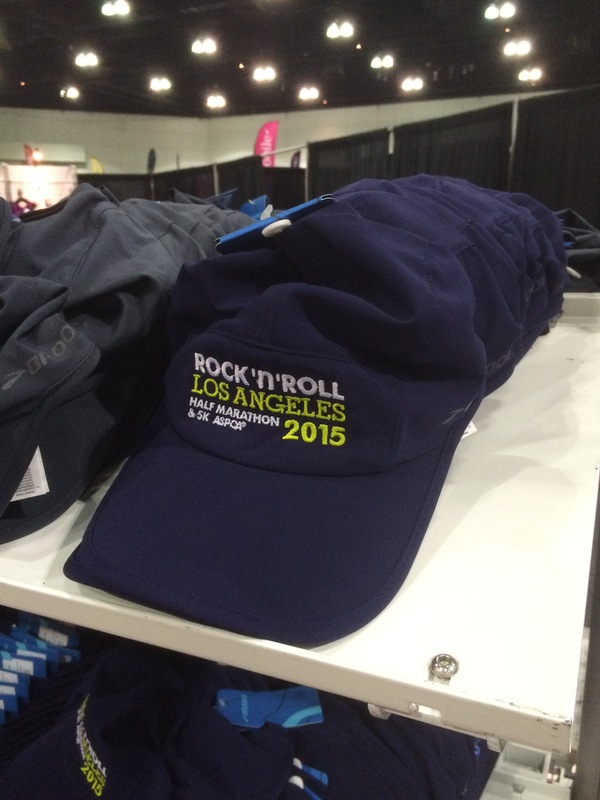 I hope that this isn’t a sign that the folks at the Rock n Roll Marathon Race Series are giving up on LA. Hopefully, in the future, it will be a much better experience. 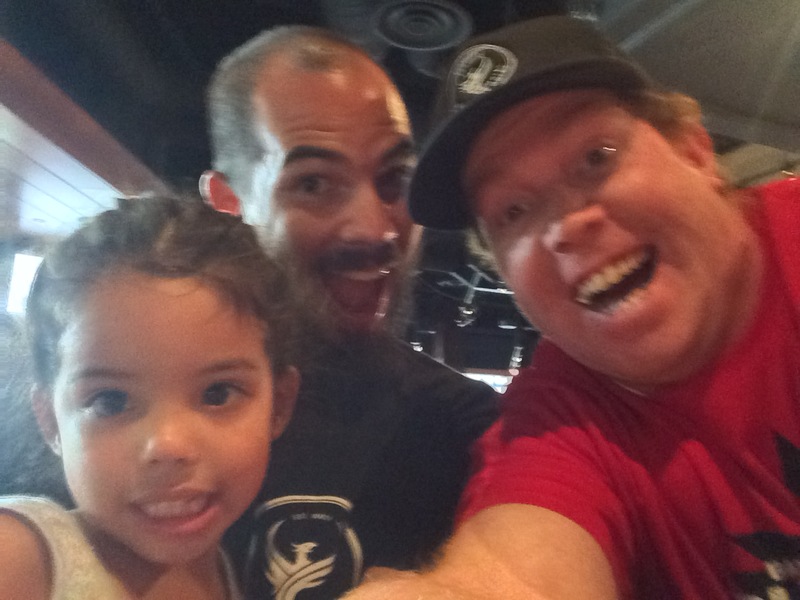 Hanging with the We Run Social crew is what made the day fun. Joining the We Run Social group is super easy. All you have to is follow We Run Social on Instagram, Twitter, and Facebook. 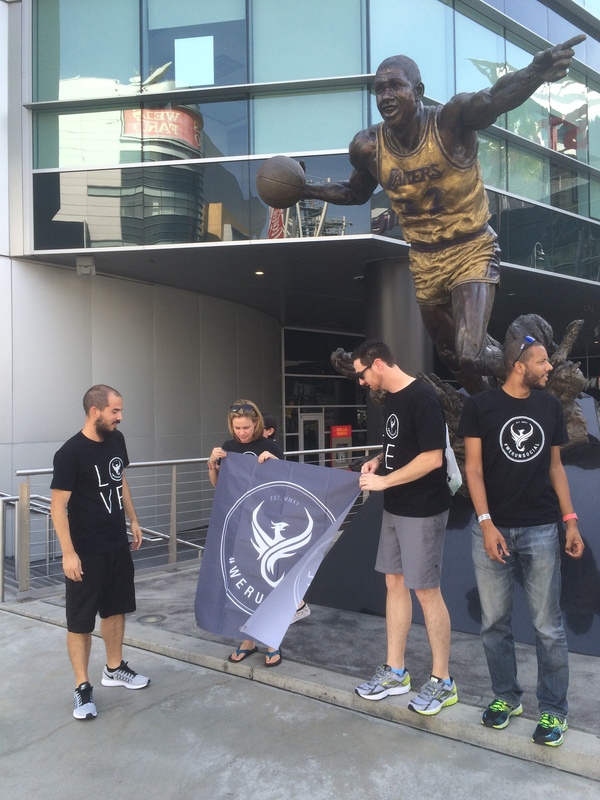 Use the #werunsocial hash tag in your social media posts relating to running. And, you’re in. 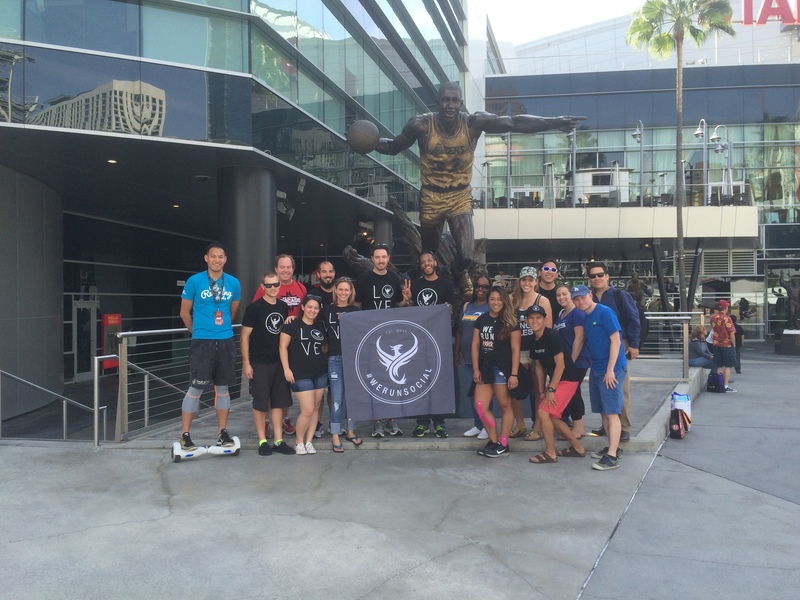 There are runners all over the place that have hopped on board with this social running group. Meet ups for this group is not limited to events in California. 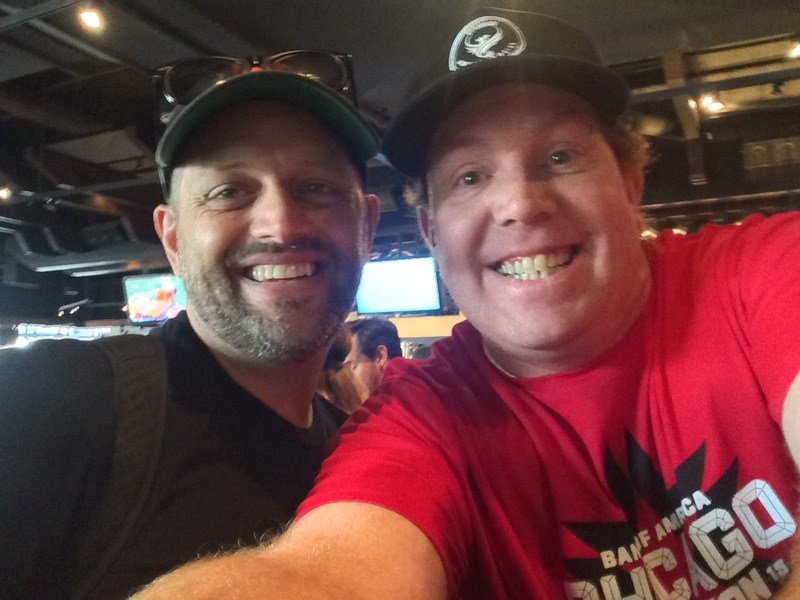 If you’re running the Rock n Roll Las Vegas Marathon or Half Marathon, there will be another epic meet up. Sadly, I won’t be there for that one. 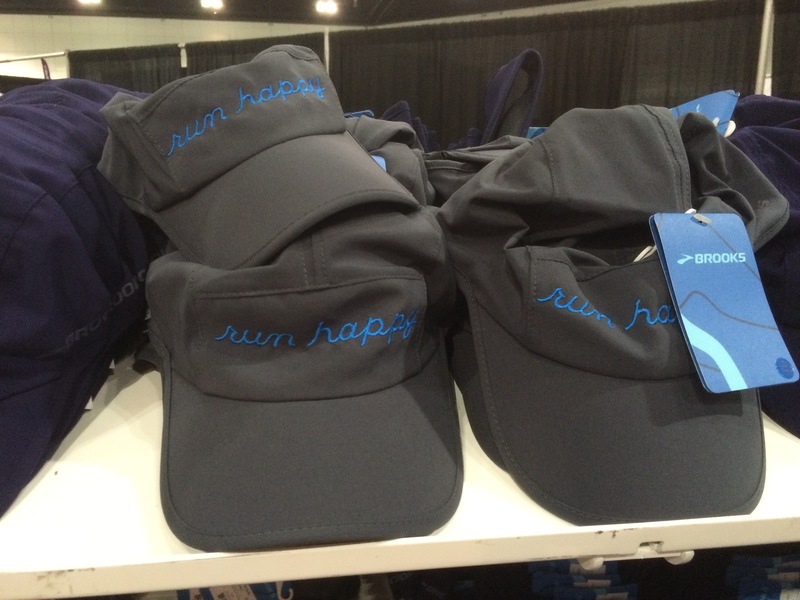 If you’re a runner, you should absolutely join up with the We Run Social crew. All are welcome! wow-that expo just looks sad! 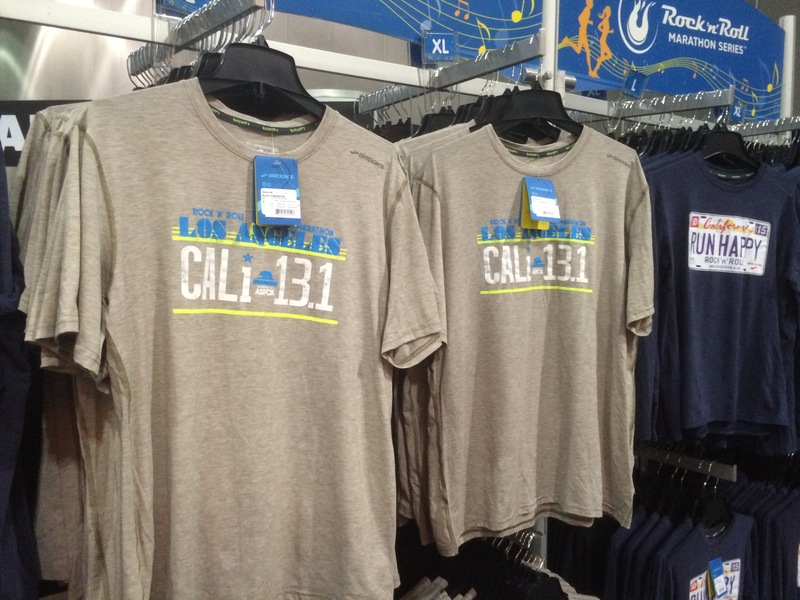 with the last minute change to the course, i really wonder if they are about to give up on RnRLA. only time will tell! I was wondering the same thing. 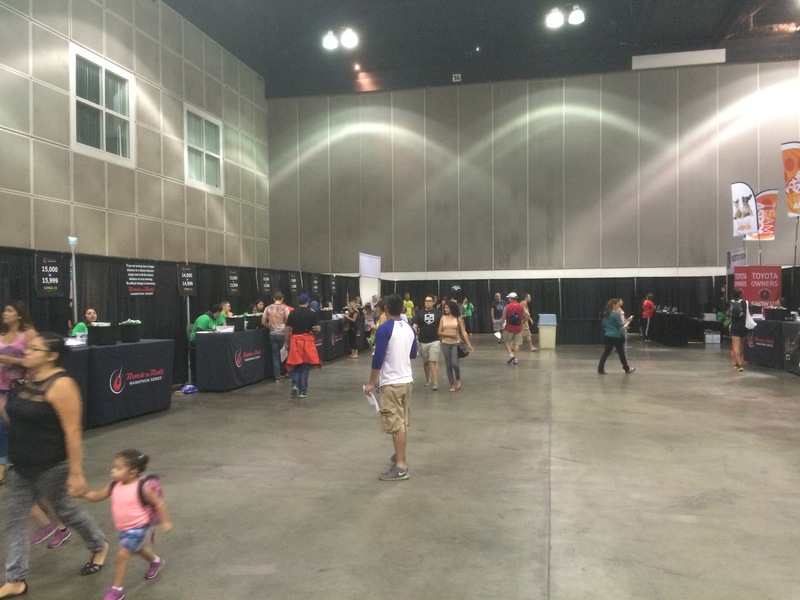 The Expo reminded me of the one for the Hollywood Half Marathon. I expect more from the Rock n Roll series. It was much better in 2013 here in LA. 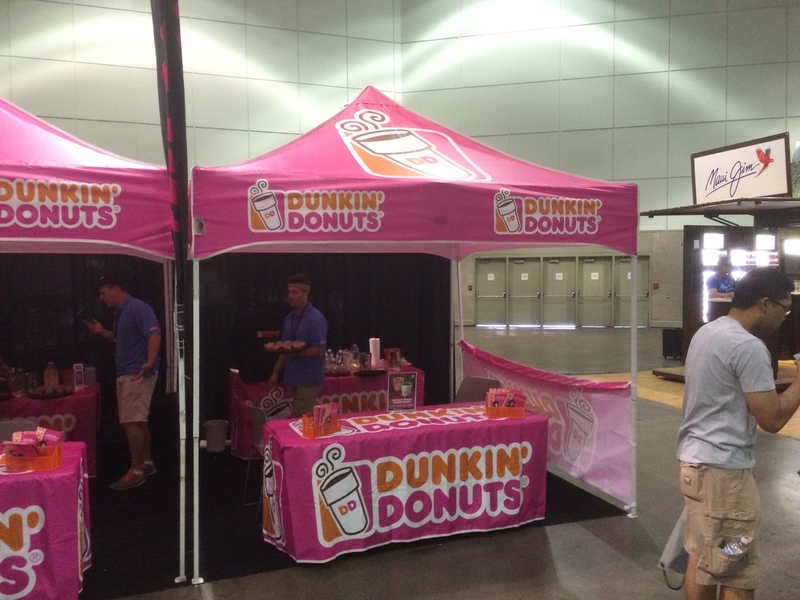 Also, the expo in San Diego earlier this year was much better.